At Blue Surf Sanctuary, perfectly located in beautiful Santa Teresa, Costa Rica, we offer a variety of surf camps that accommodate the needs and wants of each individual, from beginner to experienced. Whether you are learning to surf for the first time, or have previous surfing experience, we provide you with knowledgeable and experienced surf instructors who will guide you along the way, helping you gain confidence and providing you with the skills you need to surf. Sponsored by Billabong Camps, our Santa Teresa surf camps provide you with an educational, memorable, and fun group experience! Just footsteps from the beach, our boutique hotel is a magical and private oasis of tropical jungle and wildlife–the perfect getaway for anyone seeking great surf, relaxation, and a true Pura Vida feel. Although a group experience, our student to instructor ratio never exceeds 3 to 1, allowing each individual quality time with an instructor since our program is solely based on meeting your individual needs. During the week, as your skills progress, you may have private instruction from one of our talented instructors in order to focus entirely on your surf as an individual. The area has several gorgeous beaches, each offering different surf breaks for amazing waves, fun group experiences, and safe areas to practice your surfing. For inexperienced surfers, we patiently educate you on all of the necessary skills–surf etiquette, knowledge of the ocean, pre-surf stretches, paddling out, and standing up–so you can go home stoked and surfing safely on your own, while having a blast along the way! 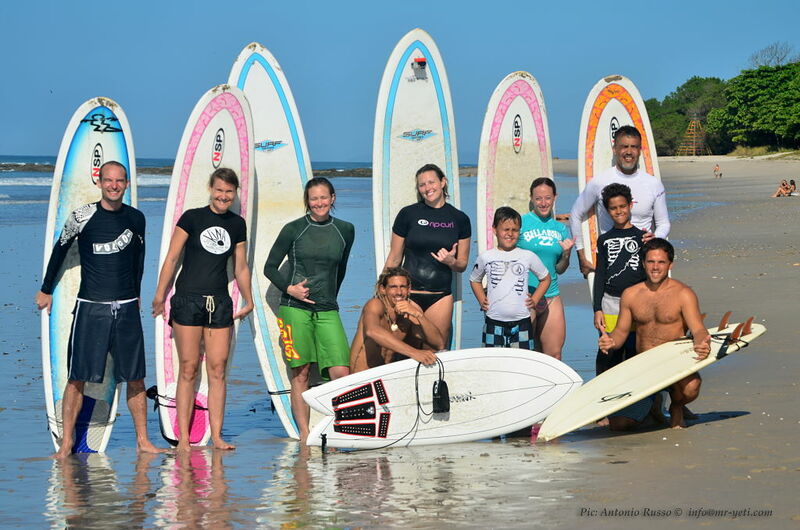 If you are experienced and already know the basics of surfing, our instructors will transport you to the best surf conditions and boost your surfing to the next level. 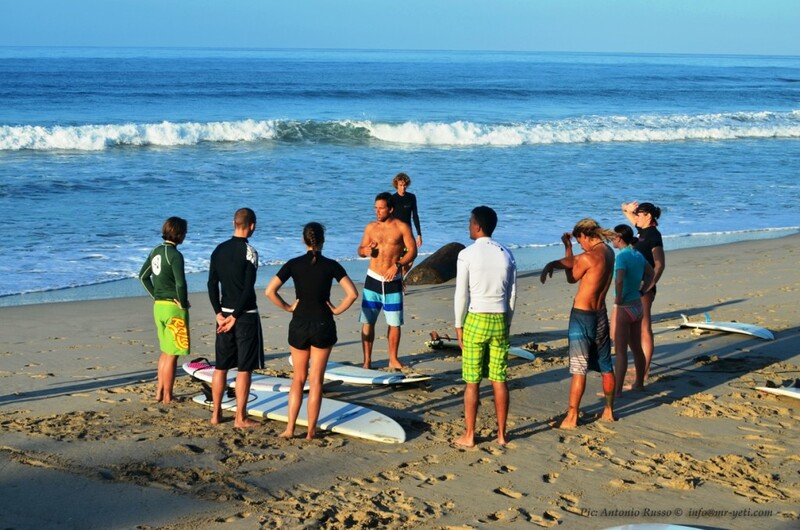 At our Santa Teresa surf camps we provide you with everything you need to have a safe and amazing experience! Our Santa Teresa surf camps are not for everyone. Do you want to bring your own group? Would you like a more flexible experience? Our Santa Teresa surf packages can be customized for your specific needs! We can base your package on your experience level and surfing goals as we build your perfect Santa Teresa surf trip. The nature and beauty of Costa Rica makes for an awesome surf trip and Santa Teresa is an amazing spot to learn to surf and to experience the true Pura Vida essence. Contact us and we will customize an experience just for you. Book Your Surf Camp Adventure Now! Come visit us and book your surf camp or surf package adventure now! Email us at info@bluesurfsanctuary.com. You’ll have a magical surfing experience that you will remember for a lifetime!